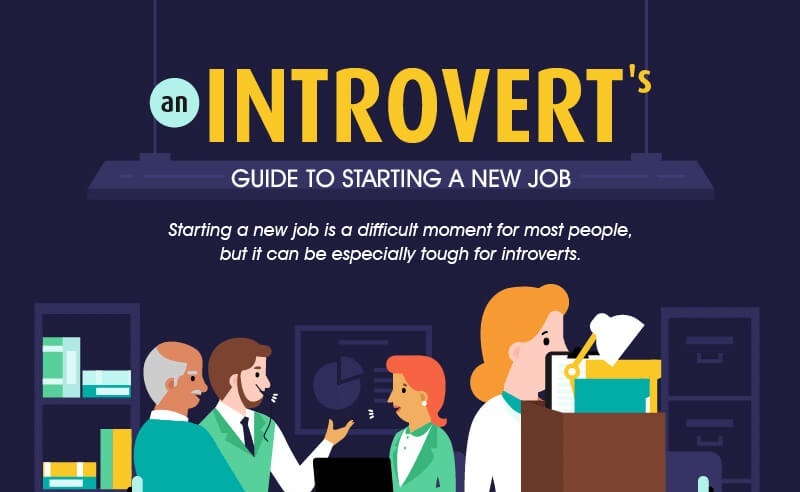 Starting a new job can be particularly tough for introverts. Everybody has a mixture of excitement and anxiety on their first day, but introverts will be faced with the types of challenge that stress them the most. What can you do to prepare yourself for such a big day? As an introvert, your first days at a job are disproportionately filled with difficult tasks. You might sense a pressure to get to know people more quickly than you’re comfortable with, or to speak up and introduce yourself in a group setting. All you want to do is get on with your work! With patience and planning, it needn’t be a nightmare. The better prepared you are, the more confident you’ll be on the day – and the less you’ll rely on your new colleagues. Research what your new company is about and what the day-to-day tasks of your new job are likely to involve. And plan on how deal with ‘new people’ overload. For example, it’s likely that you’ll be invited to a group lunch or other social events. Instead of saying yes to each invitation, prepare yourself to politely decline when you think you’ll be uncomfortable. Most people will understand how you feel, and you can always suggest meeting for a one-on-one coffee instead.